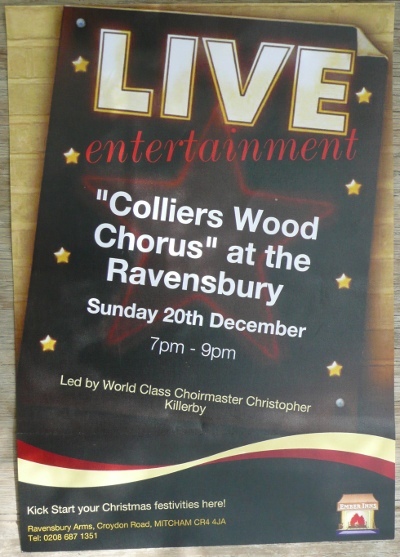 Our second Christmas sing-song at the pub, this time with advance publicity! It was again very cold... but we were inside, so those who had braved the journey had a lovely time. Unfortunately our last Christmas there, as the pub's days are numbered.